For many superyacht owners the greatest things about the yachting lifestyle are the privacy and security of being able to moor in a secluded bay far away from the crowds and potential threats of tourist destinations. However, everyone must come ashore eventually so having an armoured car to shuttle you from marina to private jet is a great investment if security is a priority. Click through to see the best bulletproof cars available to buy now. 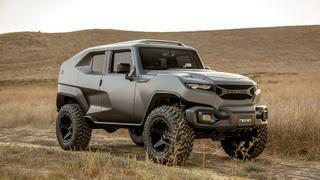 Rezvani Tank Having found fame with its cult supercar Beast, American marque Rezvani has turned its attention to the all-terrain market with its first extreme utility vehicle Tank. Designed for both on and off-road use, Tank's USP is the range and breadth of customisation available. Fitted with a 3.6 litre V6 engine and GRID off-road wheels as standard, should you need more power a 6.4 litre V8 and custom-designed aluminium wheels are also available. 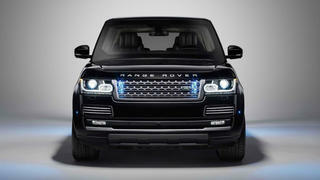 On demand 4x4, high intensity LED lighting above the windscreen, night vision and a head-up display showing incoming calls, messages, fuel level and speed are included as basic but upgrades to leather seats, FLIR thermal night vision and additional towing capabilities are all on the menu. Most importantly, however, is the ballistic armour. Offered in three packages, the full-spec version includes Kevlar armour, bulletproof glass, military-grade run flat tires and a Kevlar-protected fuel tank, floorpan and radiator. Prices start at $218,000 with basic armour. For many superyacht owners the greatest things about the yachting lifestyle are the privacy and security of being able to moor in a secluded bay far away from the crowds and potential threats of tourist destinations. However, everyone must come ashore eventually so having an armoured car to shuttle you from marina to private jet is a great investment if security is a priority. Click through to see the best bulletproof cars available to buy now. Having found fame with its cult supercar Beast, American marque Rezvani has turned its attention to the all-terrain market with its first extreme utility vehicle Tank. Designed for both on and off-road use, Tank's USP is the range and breadth of customisation available. Fitted with a 3.6 litre V6 engine and GRID off-road wheels as standard, should you need more power a 6.4 litre V8 and custom-designed aluminium wheels are also available. On demand 4x4, high intensity LED lighting above the windscreen, night vision and a head-up display showing incoming calls, messages, fuel level and speed are included as basic but upgrades to leather seats, FLIR thermal night vision and additional towing capabilities are all on the menu. Most importantly, however, is the ballistic armour. Offered in three packages, the full-spec version includes Kevlar armour, bulletproof glass, military-grade run flat tires and a Kevlar-protected fuel tank, floorpan and radiator. Prices start at $218,000 with basic armour. The newest addition to Mercedes’ bulletproof range, the Pullman Guard is ideal for those who want protection without sacrificing on comfort. 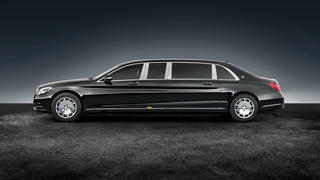 The longest Mercedes-Maybach vehicle by 40 inches, this limo-style car can seat four passengers in the back with a facing configuration making it the ideal place for on-the-go business meetings. Protection comes in the form of steel plates on the sides and floor, non-Kevlar high-strength fabrics and polycarbonate-backed windows able to stop bullets and explosives. Yours for around $1.56 million. If your explorer yacht travels take you to places where four wheel drive is crucial then consider investing in BMW’s armoured X5 Security Plus SUV. 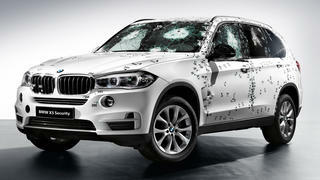 Thanks to its production processes BMW can integrate protective materials into the X5 without changing the look or drive of the original model while providing you with security against kidnapping, handgun shots up to a .44 Magnum or AK47 as well as self-sealing fuel tanks and splinter protection. Audi’s newest armoured vehicle was introduced in autumn 2015 and has proved popular thanks to its ability to mix a subtle, business-like aesthetic with top quality safety measures. 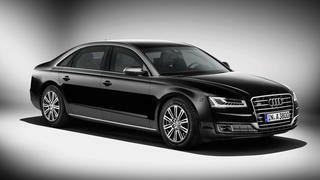 The A8 L’s passenger safety cell is crafted from aramide fabric, special aluminium alloys and hot-formed steel armour which offers VR 9 class protection without added weight. Other features include an armoured communication box in the luggage compartment, intercom, selective door unlocking, emergency exit systems, fire extinguishing systems and an emergency fresh air system. If staying inconspicuous isn’t too high on your list of requirements then bulletproof protection doesn’t come much more assured than on the Marauder. This military-grade vehicle was designed for cross-country travel in some of the world’s most dangerous and inhospitable landscapes and can carry up to 4,500kg of extra fuel, water and provisions in its mine-protected body. Anti-blast seats, day/night vision and extra sensors also offer 24-hour operability. Another for those with a passion for off-roading, the Range Rover Sentinel is based on the brand’s popular Autobiography model but with enough added armour to withstand a blast from a DM51 grenade and satisfy VR 8 level ballistic threats. Other security measures include an anti-tamper exhaust, auxiliary back-up battery, self-sealing fuel tank and tyre inserts that allow the vehicle to continue driving on flats.